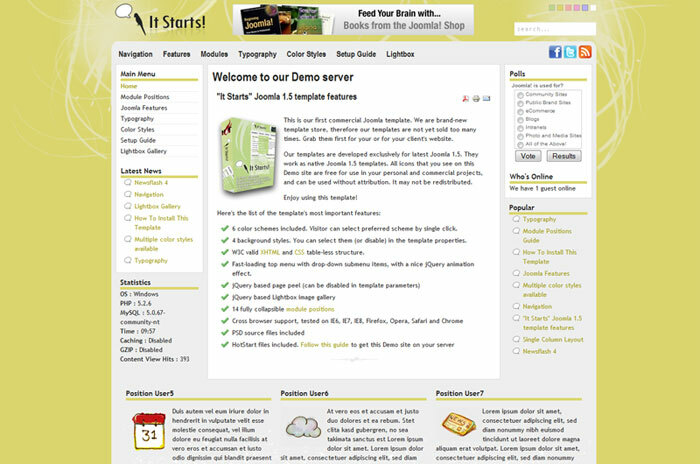 Simple Joomla Template - Hot It Starts! This is our first commercial simple Joomla template. We are brand-new template store, therefore our templates are not yet sold too many times. Grab them first for your or for your client's website. 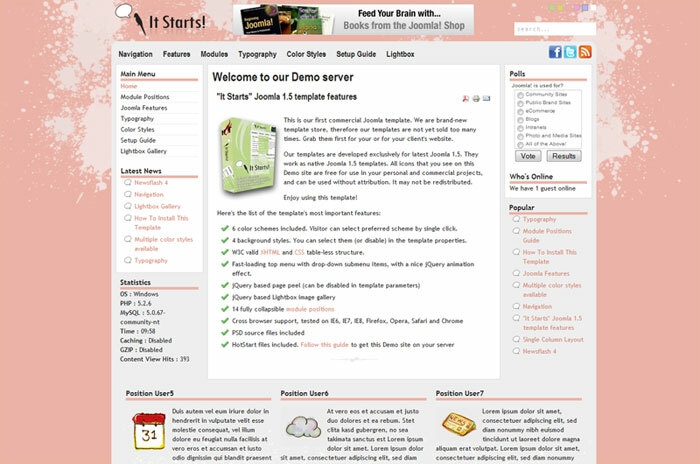 Our templates are developed for Joomla. They work as native Joomla templates. All icons that you see on this Demo site are free for use in your personal and commercial projects, and can be used without attribution. It may not be redistributed. Enjoy using this simple Joomla template! Six color schemes included. The visitor can select preferred scheme by a single click. Six module styles included. Four background styles. You can select them (or disable) in the template properties. W3C valid XHTML and CSS table-less structure. Fast-loading top menu with drop-down submenu items, with a nice jQuery animation effect. jQuery based page peel (can be disabled in template parameters). jQuery based Lightbox image gallery built-in the template. 14 fully collapsible module positions. Cross browser support, tested on IE6, IE7, IE8, Firefox, Opera, Safari and Chrome. HotStart files included. 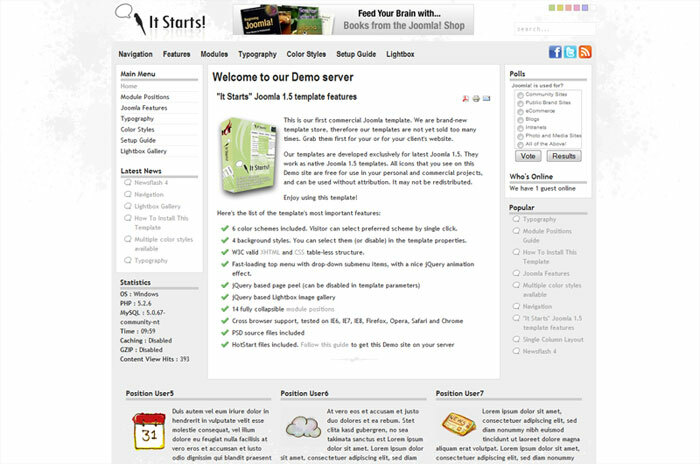 Follow this guide to get this Demo site on your server.